During a recent Q and A event, American presidential nominee Bernie Sanders was confronted by a young man and asked a question that typifies the political apathy of modern youth. The young man was previously asked by a friend in the crowd if he would ever consider working at Bernie’s office, to which he replied a curt, no. 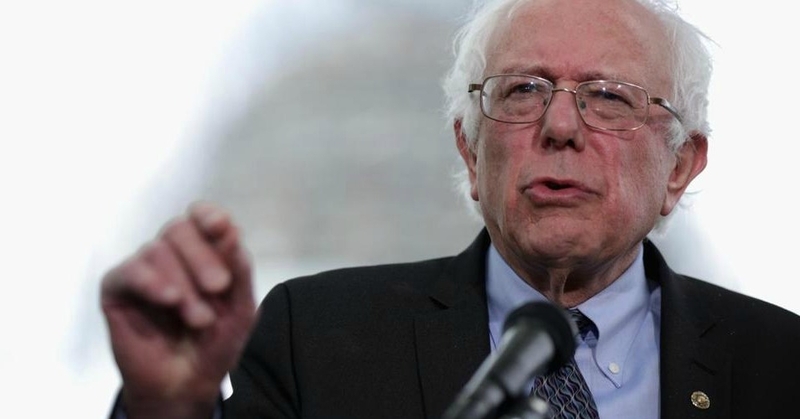 Bernie Sanders is running to be the next President of the United States at the ripe old age of seventy-three. On the way, he is being confronted by the political apathy of today’s youth, where 98% agreement with someone is not enough to get you off the couch. Someone has to offer you a 100% of what you want before you even move. In Australia, we face the same problem. The 2013 election saw an informal vote of 5.92%, the highest informal vote in almost thirty years. The percentage was so high that political apathy could form its own political party. If it did so, it would place fifth overall, of all parties nationally, in front of Palmer United. It is worth noting that Australia’s political parties also boast the lowest party membership in the developed world. Young people are turning away from the major parties in droves. In part due to the infighting and bickering, but also in part due to what we may call the ‘98%’ factor. When the youth do get involved in politics, they are quickly dismissed as feral, obnoxious or entitled. During last year’s federal budget cuts, which threatened to increase the costs of university degrees, a large number of students across the country got involved in protests. This was a mass, broad-based, political movement of the kind that the youth are supposedly never involved in these days. This was the exact opposite of political apathy. It was political activism. What would he have preferred? This brings us back to Bernie Sanders. Sanders is running an anti-establishment, grassroots campaign to win the 2016 US election, campaigning on issues like income and wealth inequality, pay equity and universal healthcare. His campaign is targeting young people via social media. He recently held an election party attended by over 100, 000 people all over the United States, online, via videolink. In many ways, Sanders’ campaign is relying on breaking down the political apathy of young people in order to turn that apathy into action. He explicitly intends to create a “grassroots movement of millions and millions of people”, to take on the “billionare class” in America. The mega-rich who have come to dominate election funding, making America an “oligarchic society,” in his words. What is most interesting about all of this, both in America and here, is that political apathy in both contexts tends to have a bias towards the status quo. If young people do not go out and support Sanders, his chances of winning the White House next year will remain fairly slim. In the same vein, if young people had not protested against the increased cost of university degrees, the government may not have rolled back its policy. Although young people are often derided for being politically apathetic, it is important to remember that there are vested interests that likely want them to remain so. Whether the young people of today will reject these vested interests and in doing so reject the status quo is yet to be seen.